Review Summary: In his introversion, Olafur Arnalds explores the farthest reaches of his beautiful and ever expanding sound. Olafur Arnalds has always had a penchant for producing subtly immense and tragically beautiful minimalistic compositions. Approaching his music with an ear for getting a profound and grand sound out of as little as possible, Arnalds has become a contemporary darling. Since his humble beginnings somewhere around the middle of the last decade, the Icelandic artist has since rose to great prominence, with the full scope of his musical prowess becoming clear in last year’s exceptional …And They Have Escaped the Weight of Darkness. In creating his boldest record yet, Arnald discovered the power of sonic expansion, and the brilliance in experimentation. Yet unexpectedly, Arnald has shied away from his bolder sound, instead opting to find the beauty in introversion. Living Room Songs is Olafur Arnalds latest release, and perhaps his most focused to date. It differs from everything he’s done before, but it’s certifiably his own sound. One can’t help but notice the techno emphasis featured on his earlier work rear their head hear, as well as the more minimalist aspects seen there as well. Despite sharing a more retracted sound with Eulogy for Evolution, Living Room Songs features the same focused feeling of his previous work. It’s in this mixture that Arnalds has crafted some of his best material to date. 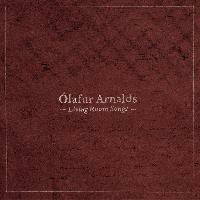 As indicated by the record’s name, Living Room Songs was recorded in the artists very own living room in Iceland. Over the course of a week, Arnalds released each song with a corresponding video of the recording. In many ways, the videos represent the music itself. Surprisingly large crowds of musicians piled into the confines of the rather small living room. This could metaphorically be seen as the musician pushing the boundaries of his more minimalistic nature by expanded the core sound as much as possible. Living Room Songs excels because it’s everything Olafur Arnalds needed to have made; a beautiful excursion that has substance to back it up. Nary a moment goes by that he doesn’t use to the fullest. Whether it is the swelling strings or the somber piano, each minute of the record’s 24 is full of purpose and deliberation. The song selection, despite lacking the flow of some of his other works, is simply wonderful. From the opening moments of “Fyrsta” to the final seconds of “This Place is a Shelter,” Living Room Songs displays that is in no short supply of brilliant selections. “Near Light” is the album’s strangest track, feature more electronic/techno elements than any of the other songs. The lush soundscapes created from the dichotomy of warm strings and cold electronics is sublime. Arnalds’ restraint with either element makes for a perfect blending as well. “Film Credits” polarizes this, as it features a lonely solemn violin, accompanied by mournful cellos. It’s a piece that truly displays the musician’s ability to craft something beautiful out of something so tragic. The production is yet another exceptional aspect. The little creaks of chairs and the soft movements of bows add an incredible layer of immersion to an already absorbing album. Olafur Arnalds is making a name for himself in the world of contemporary neo-classical musicians, and it’s tremendously easy to see why. Living Room Songs is a gorgeous listen from start to finish, and yet another reason why Arnalds’s music is well worth checking out. Glad you continue doing your own thing Xeno! Whoa I have to hear this. Reading the review now. Great review Xeno, there's always next year to be contrib! Superb review, just be sure to get a track list up if there is one! Haha, I just found this earlier today, love the coincidence. I think I differ from your opinion slightly, though, this doesn't seem to be quite as good as the other stuff I've heard from him. Might easily be wrong, 1 day of listening isn't enough to judge. In any case, great review. Pos. Yeahhh, definitely going to check this out. Olafur is one of my favorite composers. Wow this is spectacular. This guy never, ever disappoints. "Near Light" is one of the best songs I've heard this year. Love this guy, and this album rules. Pos, obviously. It's like a mix of Ludovico Einaudi, Goldmund and Max Richter. 'contemporary composers' would be better. neo-classical is the style which revisits the classical period (which minimalism is not).